Health insurance premiums could again rise sharply | Lewis & Ellis Inc. The issue of health insurance costs have been a thorny one for many parties over the past several years. Care providers, insurers, patients and lawmakers have all had to grapple with the issues that arose from the health sector being reshaped by the Patient Protection and Affordable Care Act. But even as premiums have been rising at slower rates than they were prior to the ACA becoming law, industry experts say that might change soon. Matt Eyles, senior executive vice president of the lobbying group America's Health Insurance Plans, recently told attendees at an industry event that premiums for coverage obtained through the ACA's mandated exchanges could rise sharply for 2019, according to The Hill. 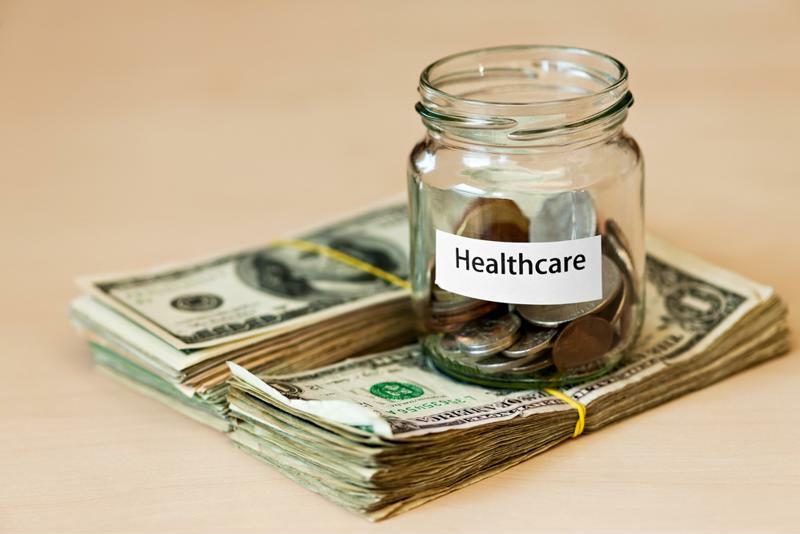 Eyles noted that many of these costs are rising simply because of the health care reforms passed in the past few years, such as the repeal of the individual mandate and allowances for the sale of "skinny" health insurance plans that don't carry as many benefits. It was hoped within the health insurance industry that a market stabilization measure would pass as part of the new federal budget, but that didn't happen, the report said. It's further worth noting that these new premiums likely won't be announced until the start of the fourth quarter of 2018, meaning there is still time to enact changes that will help to spread risk to more Americans, the report said. While many health insurers will continue to offer coverage through the exchanges, they can't do much to keep prices down if current conditions continue. "When you think about things like the individual mandate going away, some of the other proposed rules that are being put in place, whether it be around association plans, short-term policies, it's just still a nasty soup right now that's brewing and we're looking ahead to 2019 and it's not a really great picture right now," Eyles said at the event. After all, health risk - and the prices for coverage associated with it - is shared across the pool of people covered by specific insurance plans, and Eyles noted that the recent changes enacted by lawmakers and the Trump administration have largely served to reduce the number of healthy people who pay slightly more for coverage to depress costs for everyone else, the report said. That trend is only expected to continue into 2019. The rising cost of health insurance is still a major issue for many. Often, when premiums rise, Americans living on lower incomes tend to simply find the cheapest coverage available, if they get health insurance at all, according to South Carolina Public Radio. In many cases, those plans don't cover everything or even most things, and instead are largely predicated upon keeping costs down in the event of a major health crisis. Moreover, many of those policies come with high deductibles as a means of further depressing premiums. A recent University of South Carolina study found that about 40 percent of all Americans with health insurance have plans that have deductibles of at least $1,200, meaning that if something were to go wrong, they will have to pay that much out of pocket before their insurers start picking up more costs, the report said. Unfortunately, this most often affects lower-income consumers who already have difficulty affording their medical bills. "When they face this bill, it has a serious consequence for them," Neeraj Sood, Director of Research at the USC Schaeffer Center for Health Policy & Economics, told the station. "Not every family can absorb a $2,000 bill without changing their lifestyle. The most vulnerable populations are the ones who are going to face the highest risk." In some cases, coverage purchased through the ACA's exchanges come with sizable premiums - also up to thousands of dollars per year - that aren't always subsidized, in addition to several thousand dollars in deductibles, the report said. This often leads to people being potentially overly selective with what kind of care they get, or to put off treatment for something they know is an issue until it's more severe and, consequently, more costly to deal with for both insurers and patients. However, specifically because of these concerns from both consumers and insurance providers, some see the issue as potentially being solved before the year comes to an end, for political reasons, according to The Wall Street Journal. If insurers start announcing sharp premium spikes in early or mid October, that would be just a few weeks out from the important mid-term elections that could see many current lawmakers voted out of office in part because of how much health care has been made into a political issue, and what has - or has not - been done to impact the cost to consumers. As a consequence, some political observers now believe lawmakers will make a more concerted effort to address the issue in the months ahead as a means of preventing premiums from rising sharply mere weeks before many Americans head to the polls in one of the more important midterm elections in recent history, the report said. The way in which the issue is framed at the national level will be shaped significantly as the spring and summer wear on. Certainly this is an issue for those both within and outside the health insurance industry to monitor closely, because it will have a massive impact on the monthly budgets of millions of Americans. Lawmakers now considering new avenues to reduce premiums and deductibles could significantly reshape the sector once again in the near future.